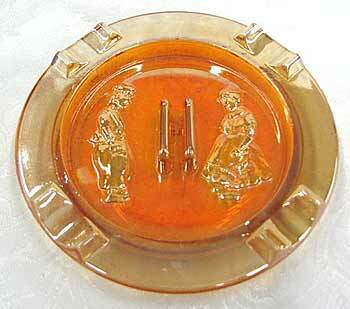 Similar to other depression era ashtrays. This one has the images of a boy and girl in presumably dutch dress. Only in marigold. Examples sold for $8 in 2005 and 2011 and for $10 in 2015. This example sold in 2012 for $25.